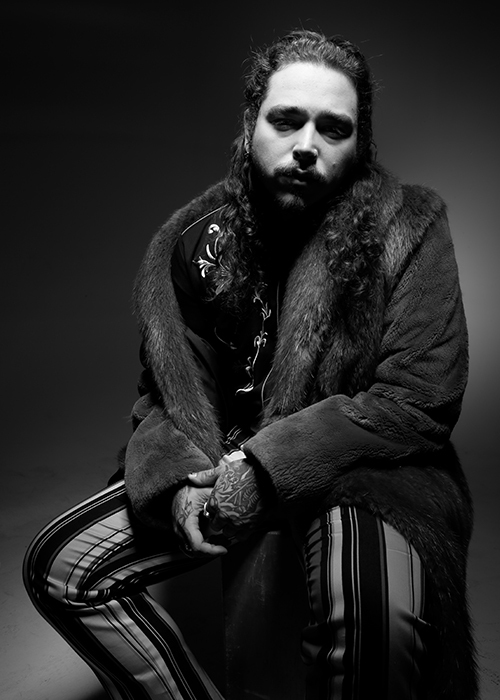 Rapper Post Malone is set to perform Friday, Oct. 20, on McDonough Field as part of this year’s Homecoming Week, according to Student Programming Council (SPC) President Tamara Ezzat (18B). Austin Richard Post, known by stage name Post Malone, is a 22-year-old rapper best known for his 2015 debut single “White Iverson,” which hit No. 14 on the Billboard Hot 100 January 2016 and his 2016 five time-platinum certified single “Congratulations” featuring hip-hop artist Quavo, who is also a member of hip-hop trio Migos. Post Malone came to prominence shortly after the release of his debut studio album, “Stoney,” as the opening act of Canadian pop singer Justin Bieber’s Purpose World Tour. Emory and Post Malone finalized the contract Friday morning, Ezzat said. “Extra precautions” were taken with the process in wake of the University getting duped by a bogus third party agency when trying to book Migos for Dooley’s week last spring according to Band Party co-Chair Zac Silber (18B). The process of obtaining Post Malone for Homecoming began in early summer according to Silber. Silber and Band Party co-Chair Blake Mars (18C) were solely responsible for artist selection. Silber added that Malone was booked through the same agency used to obtain Ty Dolla Sign, who stepped in last-minute as Dooley’s Week Headliner last year following the fraudulent Migos booking. University representatives spent seven weeks reviewing the contract according to Silber. “[The group we used] is a trusted booking agency that helped save our concert last year,” Silber said. Doors for the Post Malone concert open at 8 p.m., Ezzat said. The other 2017 Homecoming performer, acoustic rock band Plain White T’s, will play Saturday, Oct. 21, at 1:30 p.m. on McDonough Field. This year’s Homecoming theme is “Emory Land,” based off the board game Candyland. Correction (9/22/17 at 8:14 p.m.): The article originally said Plain White T’s is performing Sunday, Oct. 22. They are performing Saturday, Oct. 21. Correction (9/23/17 at 1:00 p.m.): The article originally stated Plain White T’s is performing at 3:30 p.m. They are performing at 1:30 p.m.